In these tales from BATMAN #45-50, Booster Gold arrives in Gotham City to give Bruce Wayne a gift-the kind that could have deadly consequences! 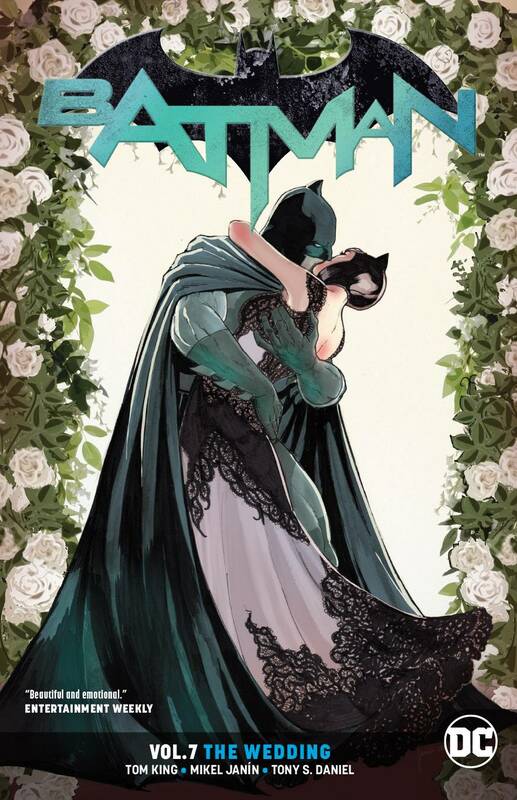 Then, just as the Bat and the Cat are starting to think it might be easier to just elope than go through with their wedding plans, The Joker kidnaps his old foe-but will he try to talk him out of his marriage plans, or just bash his brains in? It all concludes in the historic wedding issue! Includes the wedding prelude story from DC NATION #0..